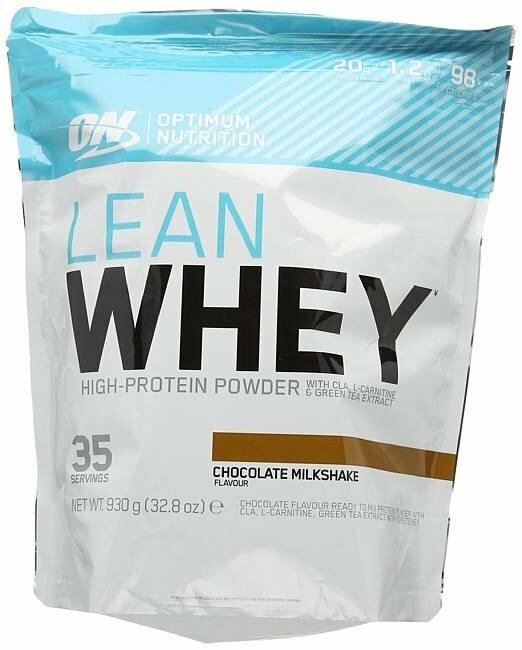 Optimum Nutrition Lean Whey is a delicious high protein, low carb shake specially formulated to support your high protein diet. ON understands that successfully losing fat is a challenge. Lean Whey will help you achieve your tough weight loss goals. Lean Whey delivers 20 g of high quality whey proteins which can be easily digested and absorbed into the body. Each great tasting shake is only 98 calories and less than a gram of fat. As well as its high protein, low calorie benefits, Lean Whey, also supplies a beneficial blend of ingredients including: Conjugated Linoleic acid (CLA), Green Tea Extract (GTE) and L-Carnitine. Enjoy Lean Whey throughout the day to top up your daily protein quota. Size: 930 g Bottle. Available in Chocolate flavour.